Give your dog comfort and style with the PetSafe EasySport Dog Harness. 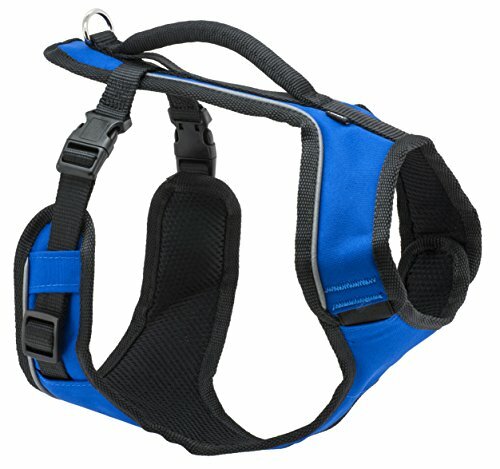 The fully adjustable EasySport Harness is padded throughout and features an elasticized neckline for a cozy fit. Two quick snap buckles make the harness easy to put on and remove, and the center back D-ring provides an easy to reach leash attachment. The convenient handle on top of the harness gives an extra degree of support when you need to control your dog quickly. Ideal for everyday wear, the PetSafe EasySport Harness lets your dog enjoy life’s adventures!